For many women, it can be difficult to predict when their health can decline as they age. Unfortunately, strokes can occur at a moment’s notice and can result in becoming disabled long-term or even death. There are many different signs of a stroke, which can occur due to tobacco use, high blood pressure, and a poor diet. Strokes occur when the blood supply is cut off from the brain, which can result in a loss of motor control or function. Immediate help is necessary to reduce the effects for the individual and avoid long-term complications. If you want to protect your health, there are a few signs of a stroke to look for that indicate you may be at risk. 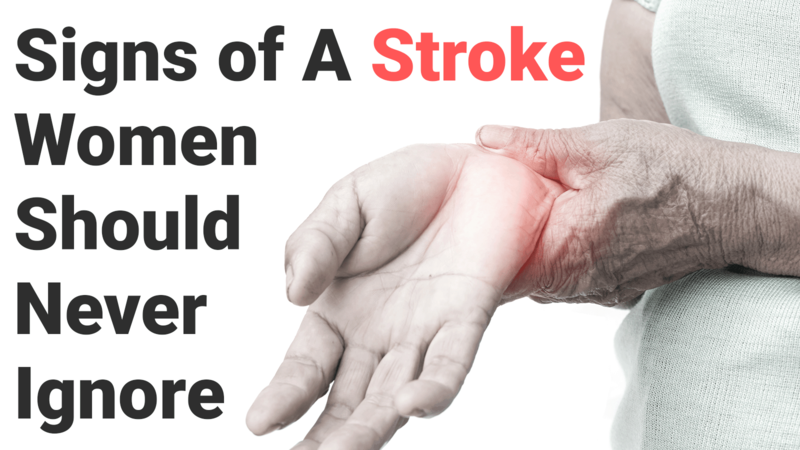 You may begin to notice weakness or paralysis of the body once a stroke occurs, which can develop on one side of the body, on the face, or on the arm or leg. If you look in the mirror, one part of the face may appear different or deformed. Numbness or weakness that comes on suddenly can also occur and is one of the most common signs of a stroke. The symptom can be accompanied by a sensation of pins and needles on certain areas of the body. It’s important to call 911 immediately once the symptoms develop. Avoid waiting more than five minutes to call medical professionals. Treatment is needed in the emergency room before you’re seen by a neurologist, interventional radiologists, and endovascular surgical neuroradiology specialists. Strokes don’t just occur in older adults, but young women can also be at risk due to tobacco use, a poor diet, or stress. One of the most common signs of a stroke in women is if you experience a severe migraine or headache, which increase your risk of a stroke or death by 50 percent. If you begin to experience a debilitating headache, it’s necessary to call a medical professional immediately. Many women who at risk of suffering from a stroke can begin to feel dizzy and nauseous, which is often due to vertigo. Although it may be easy to ignore the symptom, it can be your body’s way of telling you that your health is declining. The symptoms may be minor but need the attention of a medical professional, especially if you’re experiencing additional symptoms. In many cases, the nausea can result in vomiting that doesn’t subside and is a sign that a serious underlying issue is present. Some of the top ways to reduce the risk of suffering from a stroke are to avoid tobacco use, eat a balanced diet, maintain a healthy weight, and remain physically active. Managing stress each day is also necessary with meditation or by getting more sleep. One of the most common signs of a stroke is an altered mental state, which can cause you to become confused and disoriented. Sudden behavioral changes, hallucinations, agitation, and unresponsiveness are also common and require immediate medical attention. If another individual has the signs of a stroke, you’ll want to ask them to repeat a specific phrase to determine if they’re slurring what they say. The individual may also have changes in their personality and may not act like themselves. They may become more agitated or negative, which is a red flag that requires attention. Avoid driving yourself to the hospital and stay where you are when you begin to experience an altered mental state. Contact emergency services immediately and avoid moving until they arrive. You’ll need to undergo a physical exam at the hospital, in addition to diagnostic tests. 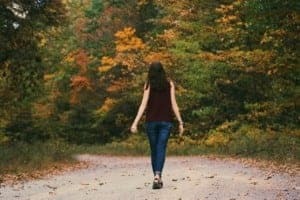 Difficulty walking or maintaining balance is considered to be one of the main signs of a stroke in women, which can lead to falls. You may find yourself having a difficult time standing up straight or walking from one side of the room to the other. The individual may have issues with coordination, which can affect their ability to perform basic activities. Due to the lack of blood supply to the brain, it can be challenging to function. The individual may also become injured due to a lack of balance or coordination. Fainting and seizures can also develop out of the blue, which are often one of the most overlooked signs of a stroke. You may faint or suffer from seizures that come on suddenly and are often unexplained, which requires undergoing medical tests to determine if you’re at risk of suffering from a seizure. Protecting your health and understanding the signs of a stroke is necessary to reduce the risk of long-term disability or death. By understanding the symptoms that can occur in women, it can be possible to reduce the effects and obtain immediate medical attention by responding quickly.